There are 33 bones in the vertebral column. These are grouped by region. The upper part of the spine is known as the cervical vertebrae. The 12 bones between the neck and lower back are the thoracic vertebrae. The five strongest vertebrae are the lumbar vertebrae, which are located in the lower back. At the base of the spine are the sacral vertebrae, and below them are the coccygeal bones. Back injuries in the workplace are very common. They may be so severe they paralyze the worker, or in some cases, a prior back injury that a worker assumed was healed is aggravated on the job. When this happens in the Boston area, an injured employee can consult the workers’ compensation lawyers at Pulgini & Norton to understand the options that may be available. The workers' compensation system protects you if you are injured or made ill on the job. Under Massachusetts General Laws, c.152 § 25A, all employers in the state must provide this insurance coverage to employees. In some cases, employers misclassify employees as independent contractors to avoid retaining workers' compensation insurance or avoid paying benefits. If you are injured at your workplace and believe you may be misclassified, an experienced attorney can help determine whether you have recourse under the workers' compensation system as an employee. The Department of Industrial Accidents (DIA) administers the workers' compensation system. This area of law is complex, and it may be more so in the case of back injuries that arise partially out of a preexisting condition or an injury at an earlier job. However, an employee may be able to recover total or partial disability benefits even when an accident or illness occurred years earlier and the employee no longer works for the same employer. Ordinary wear and tear is not compensable. While degenerative processes (such as disc degeneration) are also not compensable under the workers' compensation law, if work has exacerbated, aggravated, or hastened that process, it may be possible to make a workers' compensation claim. It is important to find an attorney who understands how to show the causal relationship between the job and the disability. In Massachusetts, a workplace injury that is a major cause of a back injury is compensable, even if it has combined with degenerative disc disorder or a prior injury. Something can be a major cause even if it is not the predominant cause or more than 50% of the cause of the injury. 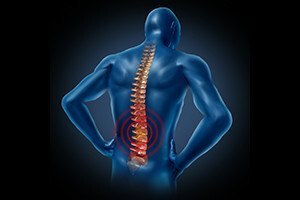 For example, if you work in a warehouse lifting heavy pallets, and one day your back simply goes out because of the strain of heavy lifting, you may be able to recover benefits even if a doctor looking at your scans discovers you also have degenerative disc disorder. It is easier to navigate the workers' compensation system with the help of an experienced workers' compensation attorney. If you suffer back injuries at a Boston workplace, the workplace accident attorneys at Pulgini & Norton may be able to help you pursue the benefits that you need as you rest and recover. We have served clients in many Massachusetts communities, including Malden, Brookline, and Lowell. Call us at 781-843-2200 or contact us via our online form for a consultation.